We all know excess drinking can bring on plenty of damaging health issues, such as liver disease and mental health problems, but it can also take a toll on your physical appearance. Rehabs, a California-based company, has developed a “Your Face as an Alcoholic” feature to show the effects of heavy drinking over five-year intervals. The online tool may help people who are at risk for alcohol abuse face the truth about the effects that long-term drinking may have on their facial features. “Our team over at rehabs.com is well aware of the many different causes of alcoholism, and in an attempt to combat them, created this interactive web tool that shows users what they would look like after two, five, 10, and 20 years of heavy drinking,” a spokesperson told the Daily Mail. 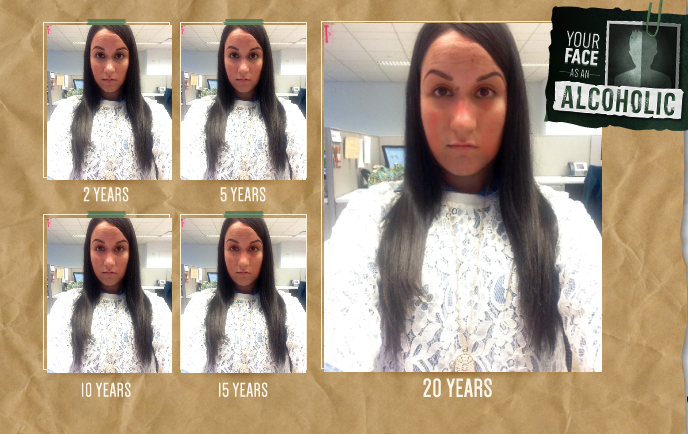 "The purpose of the program is to create a shock factor for users, preying on the vanity, in hopes that the very ugly future of their actions will incite behavioral change.” The feature asks users to upload a photograph or take a new one with their webcam, and then alters their appearance to chronologically show how their physical appearance alters up to 20 years of substance abuse. Alcoholism can take a toll on the skin’s health. It dehydrates the body and deprives the skin of vital vitamins and nutrients. Skin defects include broken capillaries, a bloated face, and a reddened complexion, among many others. However, long-term heavy drinking can have detrimental effects on your skin. According to the National Rosacea Society, alcohol is among some of the most common rosacea triggers. It causes drinkers to blush easily and slowly begin to facially disfigure the drinker. Similar to rehabs.com’s online tool are Change My Face’s “Drinking Time Machine” app and “Drinking Mirror” app. Both apps use aging software to allow people to visualize themselves in the future. They are a reflection of what drinkers can look like when they abuse substances like alcohol and even meth. These interactive apps and tools can help decrease the number of people that are medically diagnosed with “alcohol use disorder” or AUD when their drinking problem becomes severe. Individuals must meet any two of the 11 criteria during the same 12-month period outlined in the Diagnostic and Statistical Manual of Mental Disorders to receive an AUD diagnosis. A total of 17 million adults ages 18 and older in the U.S. had an AUD in 2012, while an estimated 855,000 adolescents ages 12 to 17 had an AUD, according to the National Institute on Alcohol Abuse and Alcoholism. 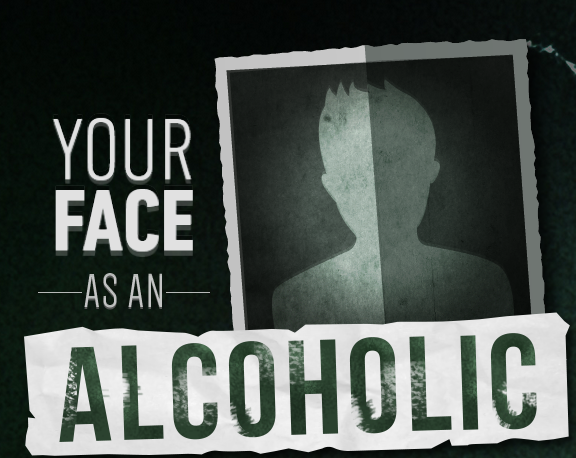 To see what your face would look like as an alcoholic, click here.